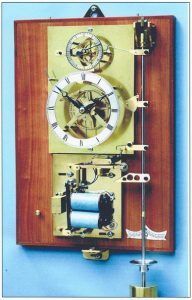 The Devon Sea Clock took me a little time to understand its working and the interaction that would occur after any change. Having spent some time on it there are a few notes that might help others working on it here …. 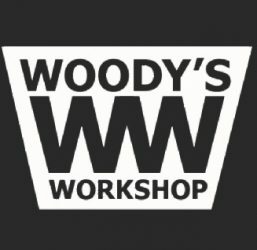 After attending the NYC CNC Fusion 360 and CAM training course at Saunders Machine Works in Zannesville earlier this year I decided to upgrade my shop to CNC operation. During the course we had used Tormach machines and I had a good chance to asses them and the PathPilot CAM control program. 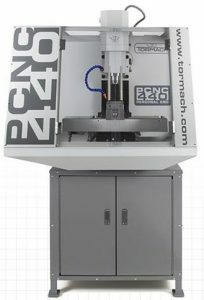 After a great deal of deliberation I opted for the PCNC440 from Tormach. There were various reasons for this but the main one related to available space. 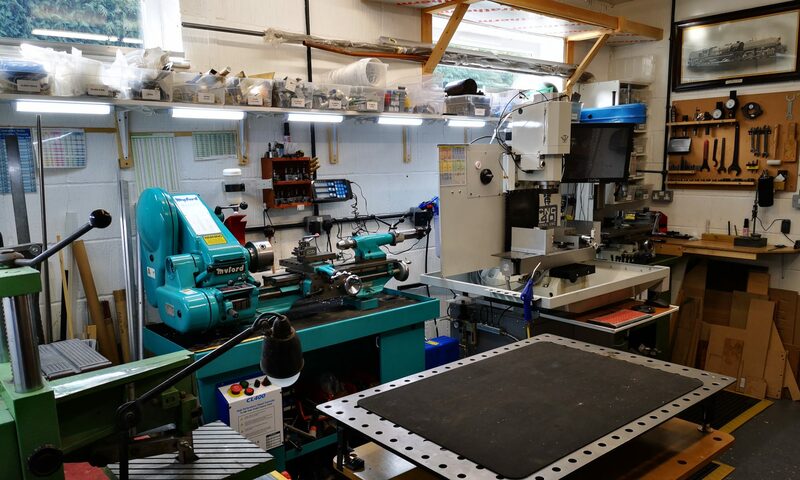 If I had sold off my Myford VMB milling machine and the BCA Mk3 Jig Borer I could have fitted in a Tormach PCNC770 but it would have dominated the shop. The PCNC440 allows me to keep the VMB and just sell off the BCA. Anything that I could do on the BCA I will be able to do on the PCNC440. 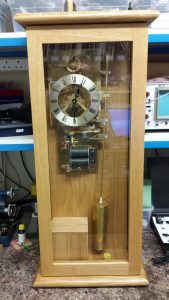 I have got very sentimental about the VMB and have done various mods to it including digital readout (DRO) and acquired quite a lot of tooling for it. I can do things quickly on it and as yet I don’t know how easy this will be on the PCNC440. Going for the PCNC440 also brings some restrictions. The fact that the spindle cannot be reversed is probably the main thing. This means threading must either be done with machine taps (which I have never done) or it must be done offline with conventional taps. In preparation for this I have ordered a Mosquito tapping arm and more details of this will follow once installed. I have ordered the power drawbar with the PCNC440 and the Fog Buster coolant system together with the Tormach tooling chucks. It was a lot of dollars and the F/X was miserable when I placed my order. Tormach shipped within 10 days which was impressive. After some investigation I chose ACC as the UK freight forwarder/importer and they have been excellent in helping me understand the process and arranging the shipment from the US via Montreal to Southampton. It is going to be a big crate and our drive is not going to be easy to access for the delivery truck. More to follow once I have a delivery date. You know how sometimes you think of something then sometime later you are doing something else and you think why don’t I do it like I did that …. 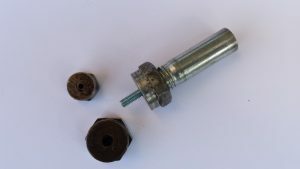 read on how gripping screws in the lathe and gripping depth discs on drills came together using some simple machining and some 3D printing on my Sindoh DP200. 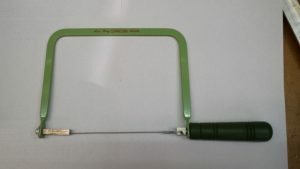 Read how I modified a standard Axminster Japanese Free-Way coping saw to replace an Abrafile.